The weather here in Seattle this week is PERFECT. So I wanted to sit outside and work with a nice big glass of lemonade. 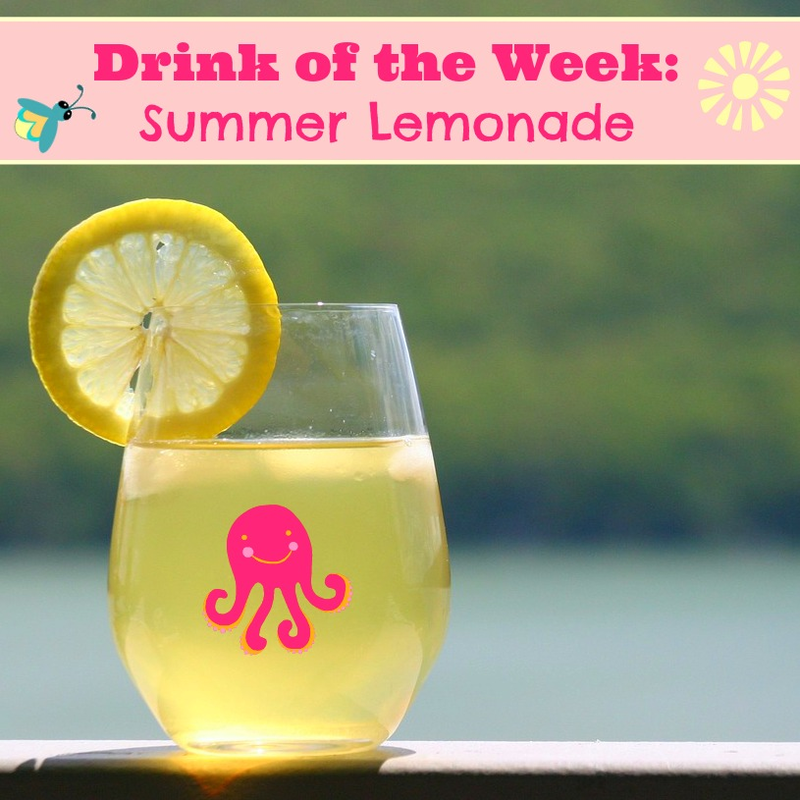 So, inspired I decided this week's drink is lemonade!! 1 1/2 cups lemon juice – real is best, but juice will do in a pinch! In a saucepan, combine your white sugar and 1 cup water. Bring to boil and stir to dissolve sugar. This is making your simple syrup. If you already have some on hand, you can skip this step. Allow to cool to room temperature, then cover and refrigerate until chilled. Remove seeds from lemon juice, but leave pulp – this is great for a thick lemonade. In your large pitcher, stir together your syrup, lemon juice and remaining 7 cups water. I like to refrigerate this for 2-3 hours. But that's it. This takes a tiny bit more work than just stirring powder in a pitcher like we did when I was a kid. But, it's really good and you can alter the sweetness to your taste!